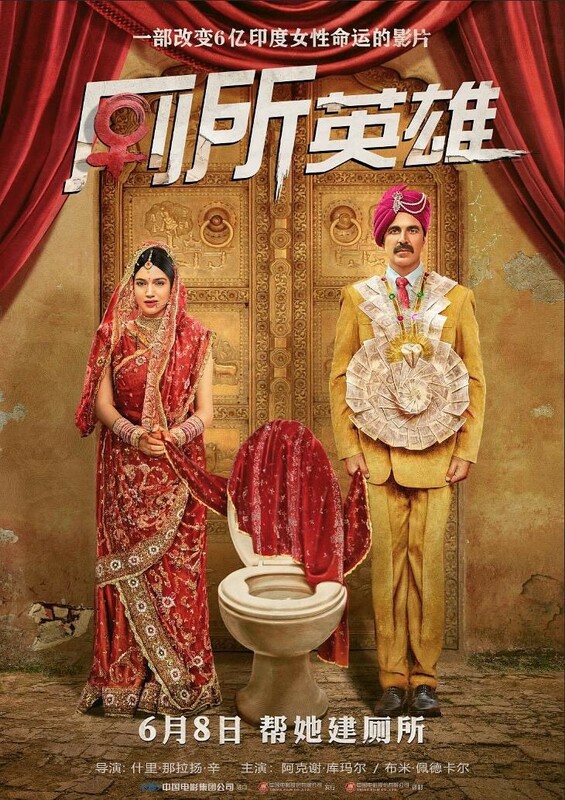 Anil Dhirubhai Ambani-led Reliance Entertainment is releasing Akshay Kumar-starrer "Toilet: Ek Prem Katha" in China on June 8, re-titled as "Toilet Hero" in Mandarin for Chinese audiences. The film is co-produced through Reliance Entertainment and Friday Filmworks' collaborative banner, Plan C Studios, with Neeraj Pandey and Shital Bhatia. The release marks Reliance Entertainment's return to the Chinese market after "3 Idiots", read a statement. "Toilet Hero" will release in over 4,300 screens across China, reflecting a 50 per cent higher screen count compared to its original release in India. It has already been screened to an overwhelming response at the Beijing Film Festival in April 2018, at an event attended by director Narayan Singh and creative producers Neeraj Pandey and Shital Bhatia. The film will be released by Lianrui Picture, executive distributor with the China Film Group. In India, "Toilet Ek Prem Katha" was presented by Viacom18 Motion Pictures and KriArj Entertainment, and co-produced by Cape of Good Films, Friday Filmworks and Abundantia Entertainment.